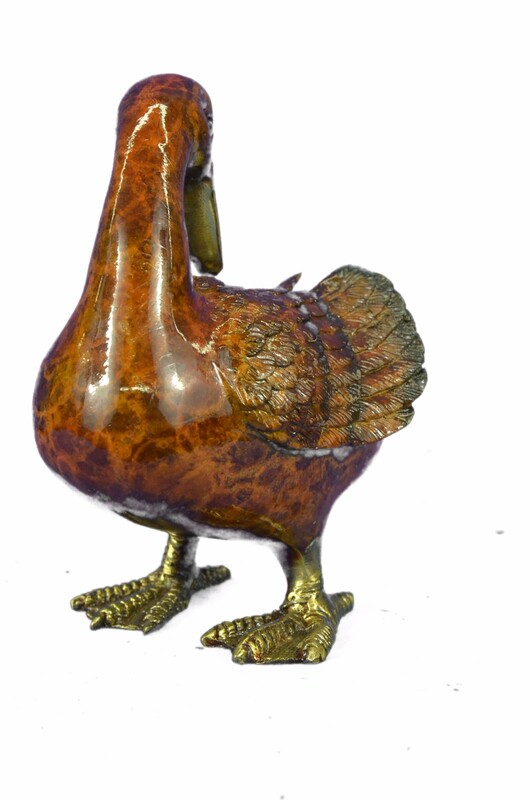 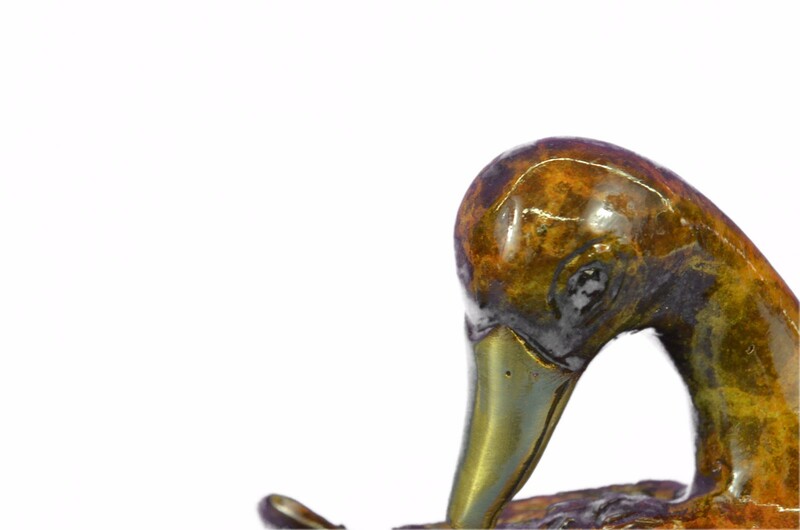 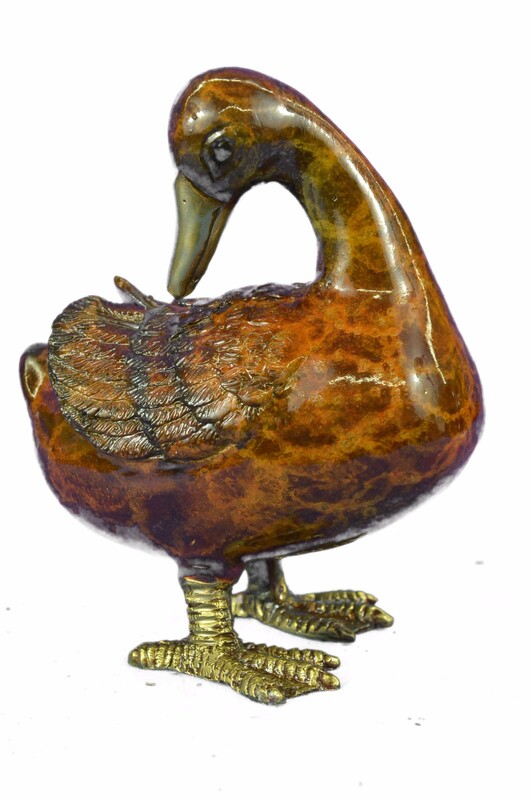 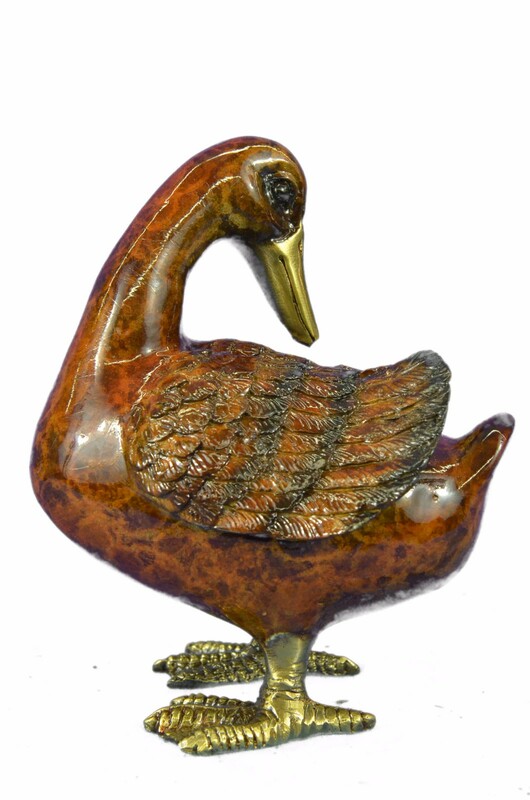 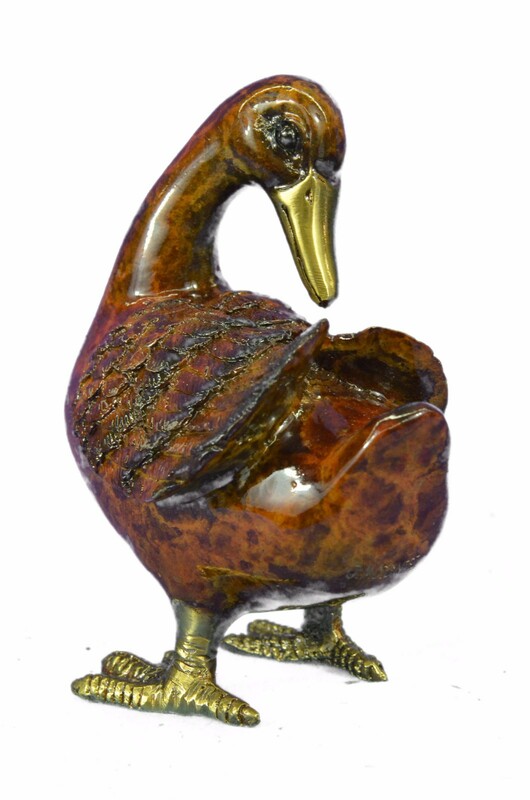 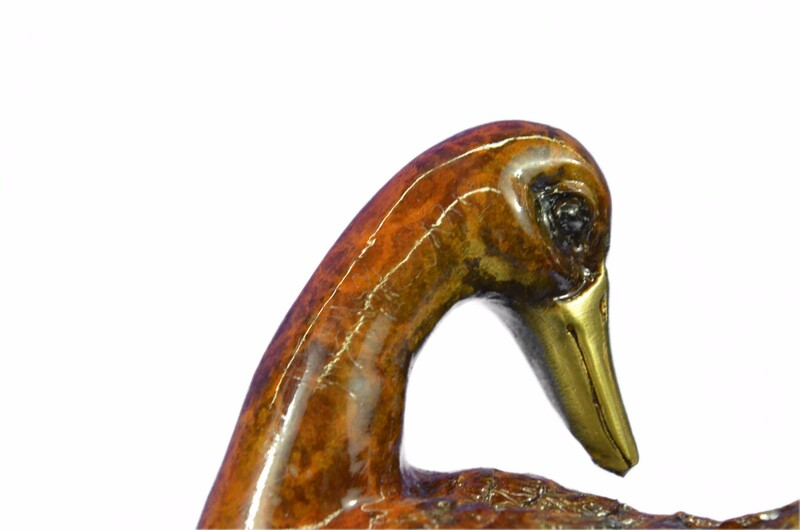 Delightful Duck Bronze Sculpture, After J. Moigniez .This Bronze Sculpture Was Produced Using The Lost Wax Casting Method. 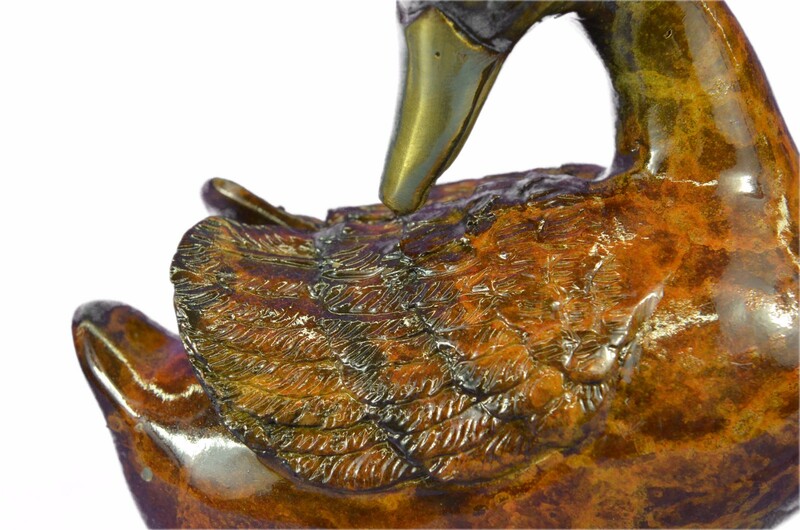 The Lost Wax Cast Method Is The Most Precise Metal Casting Technique In Existence, Ensuring Exquisite Detail Of The Original Host Model Which Is Usually Sculpted In Clay Or Wax. 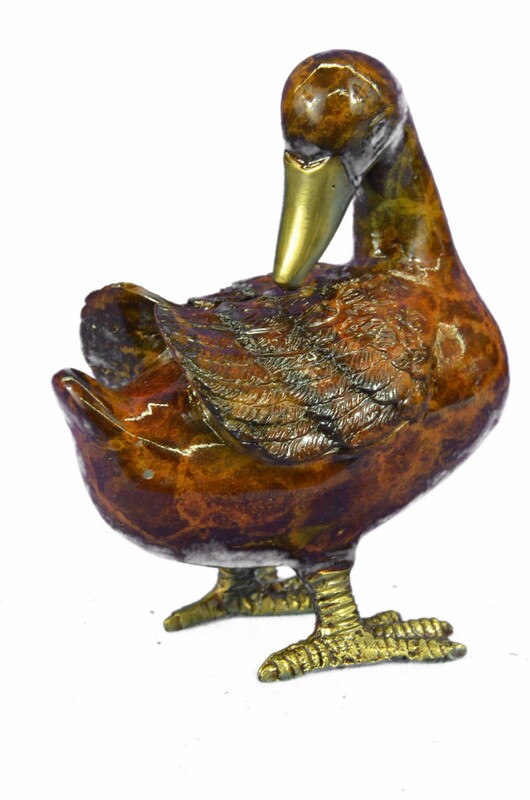 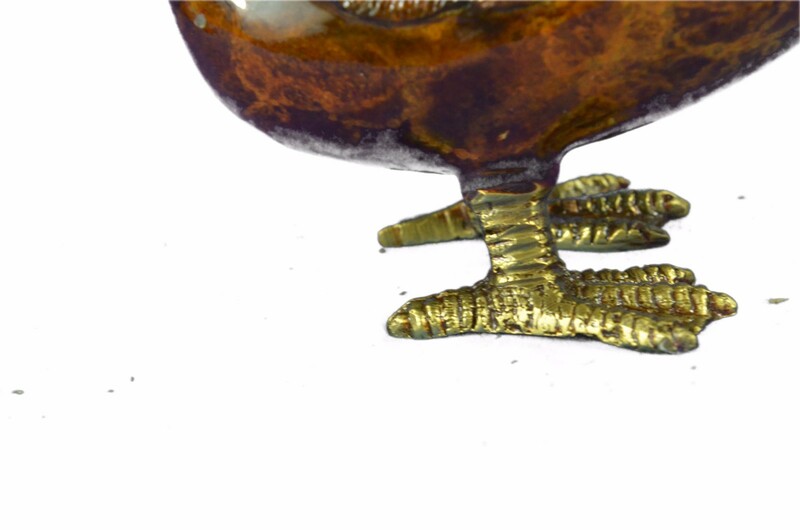 This Lost Wax Casting Method Is An Extremely Labor Intensive And Expensive Process, But The End Results Produce A Heirloom Quality Masterpiece!